MRSA, one of medicine's most well known and dangerous superbugs, may soon be treatable thanks to the discovery of a link between the bug and more harmless bacteria. Researchers shed new light on infectious diseases and provide clues to fighting them by showing that MRSA pathogen can delegate benign bacteria to cause infection. Bacteria, those hardened single-cell organisms, can live pretty much everywhere from our skin to the harsh environments of space. Just like the gut microbiota, the skin has its own bacterial flora that fulfills vital missions by acting as a barrier against infections and contributing to the skin’s health. Besides non-pathogenic microbes, your skin also includes some nasty pathogens. Now, a new study elucidates some of the mystery underlying the relationship between the “good” and the “bad” bacterial populations. The dermal microbiota comprises about 1000 species of bacteria. Although most of them are harmless, they can indirectly give a hand to harmful ones. A study by an international research team found that infectious pathogens enlist the help of benign bacteria to trick the immune system and cause infection. Led by the University of Sheffield’s Florey Institute, the five-year research project included researchers from the UK, Canada, Holland, and Sweden. The team worked on Staphylococcus aureus, known more by its deadly strain MRSA, or Methicillin-resistant Staphylococcus aureus. MRSA is a type of staphylococcal bacteria, aka staphs, that have developed resistance against methicillin antibiotics. 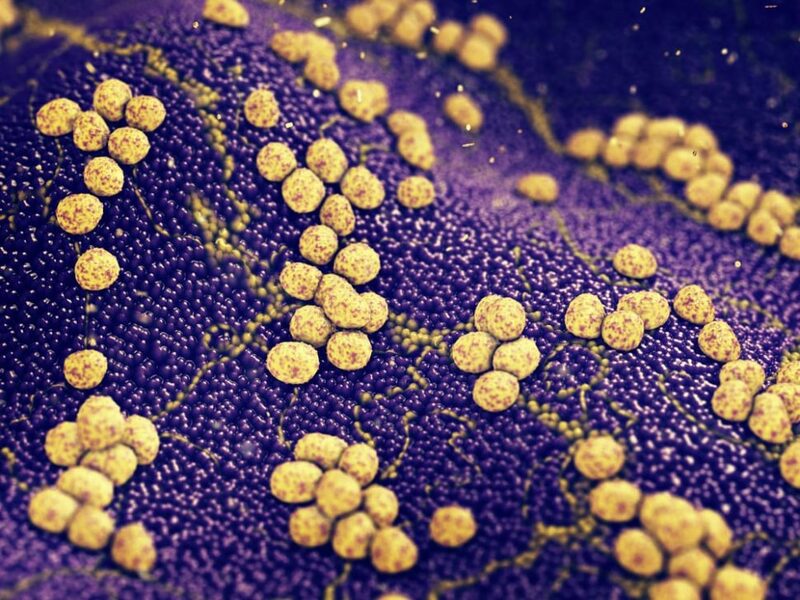 Commonly found on the skin, if MRSA bacteria penetrates into the body, it can trigger conditions from mild skin infections to life-threatening conditions like pneumonia and sepsis. As it turns out, MRSA is an opportunistic superbug that manipulates friendly bacteria to survive the attacks of the human immune system. Basically, innocuous bacteria act as “probiotic agents” to the MRSA superbug that drags them along with it inside the immune cells, which get confused as to how to proceed with their security protocol. “The virulence of the human pathogen Staphylococcus aureus is augmented by native, polymicrobial, commensal skin flora and individual species acting as ‘proinfectious agents’,” said authors of the paper. Although not dominant, as only two percent of people carry it on their skin, MRSA virulence can be overwhelming due to its tricks. Which other superbugs that can be using the same deceptive process as MRSA?